The mockups are based on the report of Ming-Chi Kuo who said that the new iPhone X will have the same form factor, but the display will be larger. The concept of iPhone SE with OLED display looks impressive as well but seems less likely to become a reality. 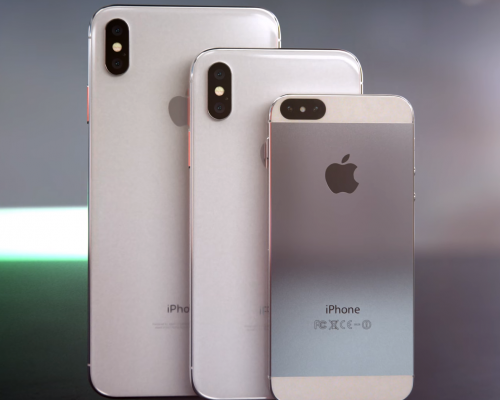 The “iPhone XL” is shown with the sharp edges and metal back and due to this design the device would not support wireless charging. The display looks the same as current iPhone X, with edge to edge display and the top notch for TrueDepth camera. Despite the rumors about iPhone SE upgrade in 2018, Apple is not likely to go for this. The upgrade will cost a significant amount that would contradict the main purpose of creating iPhone SE: being an entry-level affordable Apple smartphone. See the video of new models mockups below.